Social media platforms like Instagram can feel like a double edged sword. On one hand, it’s a platform for connecting directly with celebrities, influencers, and brands in a way that they never could before. I mean, when was the last time you could so easily slip a DM to Kim Kardashian? On the other, many feel that it preys on women’s insecurities, makes everyone feel like they need to live like a celebrity, and floods our feeds with images of “perfect” women who all look the same. But scrolling through petite model Toshada Uma’s Instagram certainly doesn’t fit in with the stereotype of conventional blond women vacationing on the beach. Toshada who stands at 4’8’’ has alopecia which is an autoimmune disease that causes baldness. Her unique beauty is even more arresting because she appears to be a different woman in every photograph of her Instagram feed: an ice-blond in a baby-blue lace tunic and pastel splotches across her cheekbones; a dark-haired punk pixie in a leather collar and black feather boa; a sun-drenched siren with minimal makeup and close cropped hair; and a diva with lush curls and bright, golden eyeshadow. Because of these free-flowing, trend-defying influences, Toshada caught the attention of American modeling agencies from her home in Bombay, India after having a bit of success modeling as a teen and early tween. But Toshada isn’t the only model who built an Instagram following from standing out rather than fitting in. Rajee Aerie, a polio survivor turned fashion model who advocates fiercely for disability representation and has credits like the Aerie Real campaign under her belt, believes that a woke social media presence is the most important thing differently abled models can do to increase awareness: “Bring attention to it through social media platforms and talk about your own personal experience. Tell your story! Social media has been a game changer in terms of bringing issues to light and bringing people and communities together to show there is a need for representation and inclusion of all people.” For Toshada, Rajee, and other petites, Instagram has become a place of acceptance, a network of support and love that gives them the space to speak their truth. But Instagram has done more than change the way models pursue careers--Instagram has changed the way agencies pursue models too: instead of waiting for them to walk in the door, agencies are going out and identifying the many petites pushing the limits on their social media accounts. Agency scouts set to work looking for fresh-faced, makeup free selfies and no-filter pics, trying to find women with spark to represent their clients. These days, plenty of models have stories of being “discovered” on Instagram and using their platform to land lucrative roles. Simone Thompson, who lists her height as “five feet of fun” and grew up wanting to be an FBI agent/fashion model, went into her first meeting at State MGMT with “a plastic Staples binder full of Instagram pictures.” The pictures must’ve grabbed the agency’s attention, though, because Simone is still killing it: her Instagram now features photo shoots for MAC makeup and Kat Von D’s beauty line alongside images of her chilling in fabulous champagne pajamas or nursing a skinned knee with a bandage. Kimberly Nieves has a similar respect for the power of the Gram, but she acknowledges that popularity often plays too much of a role in agencies’ selections: “Brands will find you on Instagram, love your look and work and want to book you. The only thing that can stand in the way at times is the number of followers you have; I noticed a lot of brands will go with someone who is Instagram famous rather than a great model.” But MGMT seems to have found a great petite model on Insta in Kimberly, whose portfolio features gorgeous editorial shots of her with long purple braids alongside images of her looking long and lovely in a black bustier, grey high-waisted jeans and striking blond bob. Models aren’t the only ones benefiting from Instagram’s fashion free-for-all: Instagram can be a place for petites to communicate with each other as well as with modeling agencies. 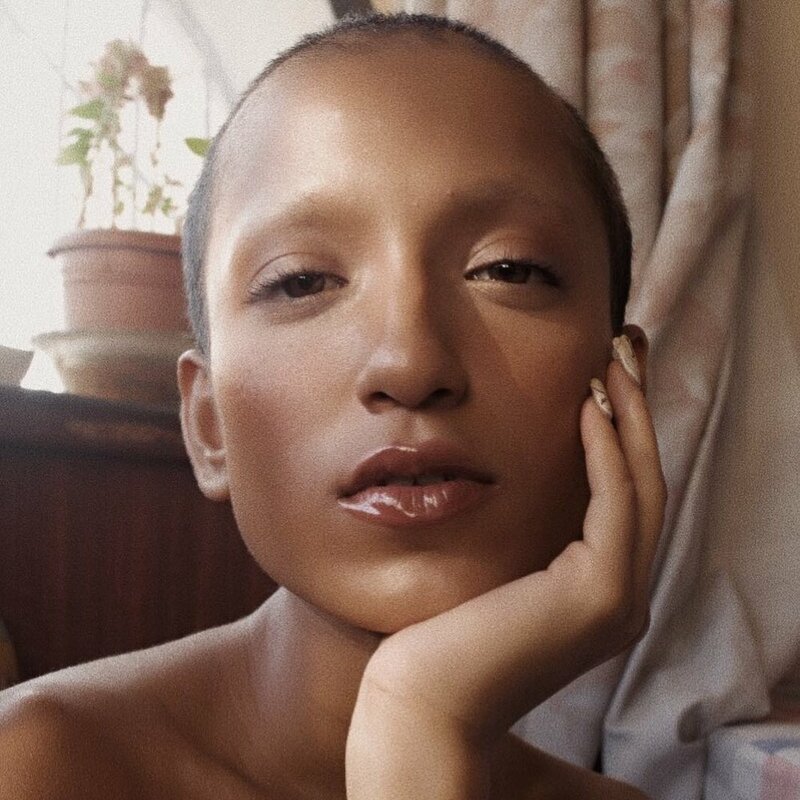 Seeing petite models like Toshada and Rajee can be empowering for petites who don’t necessarily aspire to stomp the runway at fashion week, but still want to know that they are beautiful and valued. And petites help each other more directly on Instagram too. Scrolling through hashtags like #petitefashion, #petitegirl, and #petiterevolution provides more outfit inspo than you could use in a year, not to mention the know-how to pull off the ensembles with polish. NY based wardrobe stylist Melanie Lippman’s Instagram feed is chock full of tips for petites, pointing out details like an asymmetrical hemline will make your legs look longer since the eye can’t tell where the hem starts or stops as well as tried and true techniques like using a wrap dress or belt to raise your natural waist. And of course Petite Ave’s #wcw features introduces you to a new high-powered petites every week, from bloggers to journalists to entrepreneurs. As more options continue to pop up for petites, Instagram can be your guide to the brands that fit your body and the women who run them. Knowing that modeling agencies are perusing Instagram for petite talent has made me think very differently about my own posts: there’s been more smize-ing lately, and fewer pictures of my dog (ok, maybe still a lot of pictures of my dog). Which petites are you following on Instagram? Send them a shoutout in the comments and tell us how their work makes you feel included.